We’re raising $10,000 for the new Fellowship cohort – Can you join us? Meet our 2019 Fellows: Cicia Lee, Kade Cahe, Rashad Buni, Samantha Master, and Tanya Ferguson. 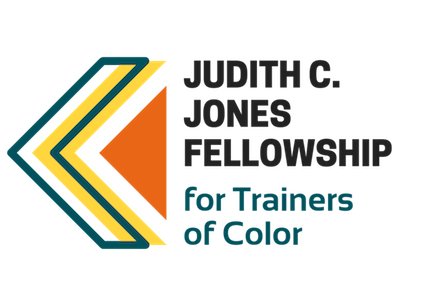 The Judith C. Jones Fellowship for Trainers of Color supports trainers and organizers of color working in left and social justice movements. This year, five new and dynamic Fellows joined the program and we’re excited to support their growth over the next year. Every grassroots donation goes a long way to support retreats, scholarships, and coaching for our 2019 Fellows. Consistent giving supports helps us respond to emergent needs and plan into the future. Thanks to the Fund for Democratic Communities, new Sustainer donations will be matched up to $100. Our goal is to welcome 60 new Sustainers this year to make the most of this matching gift. If you ever considered becoming a Sustainer, this is your year! Sustainers make possible transformational social change by providing the reliable support we need year-round. Our Sustainers are people from across the globe who give anywhere from $5-$60/month. Throughout the year Sustainers receive behind-the-scene updates on our programming; we share a closer look at our exciting work and invite you into the backstory behind what we do. For 25 years we have been building better movements. Our Impact continues to grow!